Mr Low Kay Hwa graduated from Singapore Polytechnic in 2007 with a diploma in Building and Property Management. He is currently pursing a Bachelor of Arts in English Language from SIM University on a part time basis. The full time novelist, published his first novel at the age of 18, and has written a total of 9 novels till date! Kay Hwa wrote and published his first novel, Destiny's Cries, in 2004. Less than ten copies were sold within six months upon publication. Though discouraged, he continued writing and uploaded all the chapters of the second novel he had written, I Believe You, on the internet. People began to take notice of his writing and bought his novels. In 2007, Kay Hwa started Goody Books and incorporated it as a company in 2010. As of 2011, he has written nine novels and sold over 33,000 copies of his books. He was featured in several local newspapers and in one Malaysian Newspaper. He has over 11,000 fans on his Facebook Fanpage and over 7,000 double opt-in subscribers! 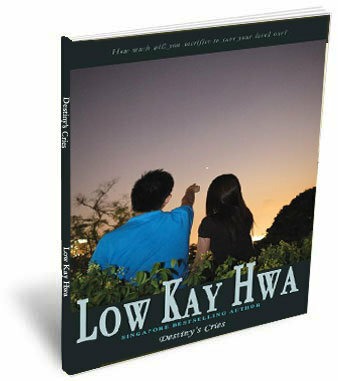 One of the youngest full time novelists in Singapore, Low Kay Hwa has launched his ninth novel titled For That Day in August 2011. It is about two cancer-stricken teenagers, and their different perspectives on their prognoses. Jun Hao (one of the main characters in this story) has leukemia. Yvonne (the other main character) has metastatic brain cancer since she was twelve, and has beaten the odds as hospice service discharged her twice. As they meet, Yvonne inspires Jun Hao with a positive outlook of life while learning more about herself in the process. 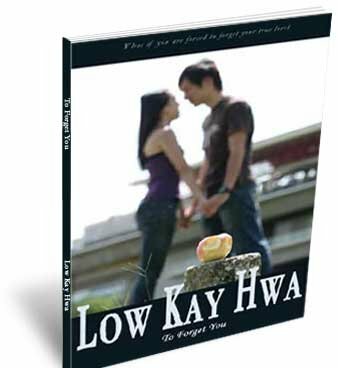 Kay Hwa has done extensive research for this novel to ensure that all information is correct. During his field research, he talked to doctors and nurses from National Cancer Centre Singapore in Singapore General Hospital, Viva-University Children's Cancer Centre in National University and HCA Hospice Care. In Addition, he interviewed teachers, students cancer patients and children of cancer patients. 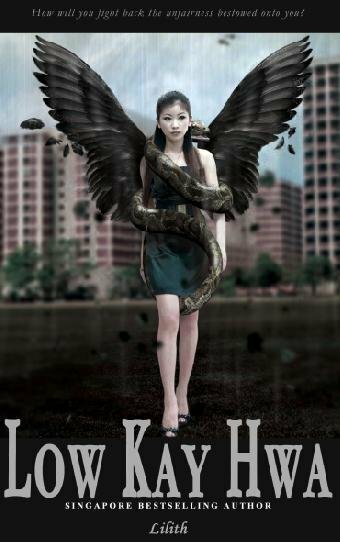 Kay Hwa Said, "The initial idea is about how a change in mindset can change many things or even create miracles. However, as I delved deeper into the subject, I changed the direction of the novel while maintaining the core of the plot. During a meet-the-author session in Broadrick Secondary School, a reader told me how happy she was when her strict mother was not home for days. She was then ten years old. It turned out that her mother had died of cancer, and her father dared not tell her the truth nor bring her to the funeral. Now, she regrets that short burst of happiness." For That Day has five narrators, with each narrator -as they cross paths to influence each other- portraying their own theme, and conveying an overall theme. 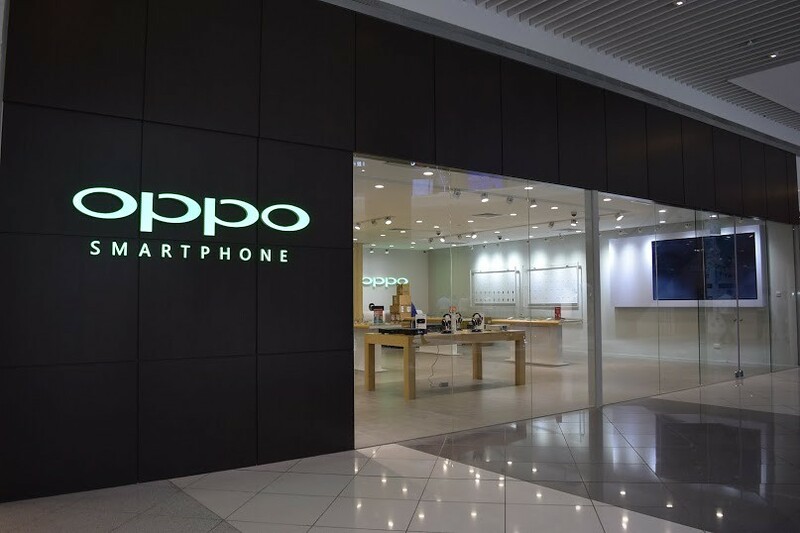 Teo Mei Ling grows up in a low-income family, and seeks to provide the best for her family. Her husband died when she was expecting her second child, Yvonne. As both her children were diagnosed with cancer, she learned more about how to lead a meaningful life. Tan Jun Hao grows up in affluent environment. He tops his class, is the captain of his school badminton team and set goals for his future. When he was fifteen years old, his childhood leukemia relapsed, and the chance of remission is less than 10%. As he is about to give up on the painful treatment, he meets Yvonne who encourages him to fight for the future instead of waiting for the future. He writes a future diary entry and looks forward to that day. Eventually, with a positive mindset, he achieves remission and goes through a bone marrow transplant. Vincent Decson is a Harvard graduate. He is socially marginalized due to his delusional thoughts. He spend his whole day telling strangers about the end of the world, and takes a lift in an HDB flat daily for hours due to his obsession for lifts. When Yvonne approaches him, he tells her that he does not mind what others thins of him, as long as he is enjoying himself. This inspires Yvonne. Lenny Chua, Yvonne's brother, died when he was eleven. Before his demise, he believed that as an elder brother, his younger sister would be influenced by what he did, and not what he instructed. Therefore, he became a role model for Yvonne, showing her that death is not the end, but an event in life. 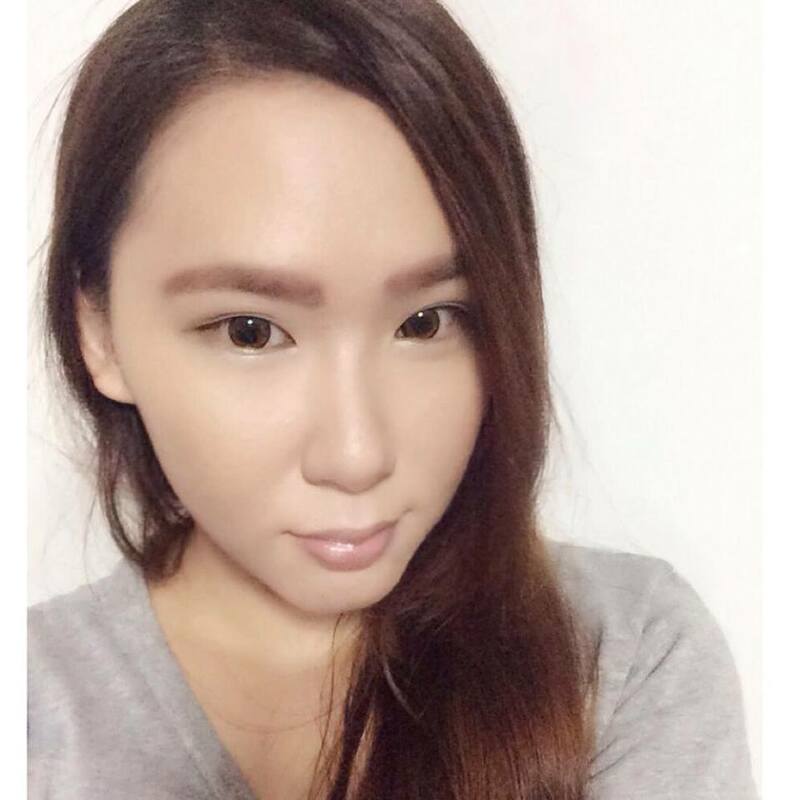 Yvonne Chua connects the readers with a few short second-person narrations. She is influenced by his brother and Vincent, and she influences her mother and Jun Hao on the outlook of life. She has relapsed neuroblastoma, a common childhood cancer, and the cancer spread to her brain. She is not excited to live beyond one year, but she beat the odds by staying alive for more than three years. You might also want to join their Facebook Page here: http://www.facebook.com/forthatday. 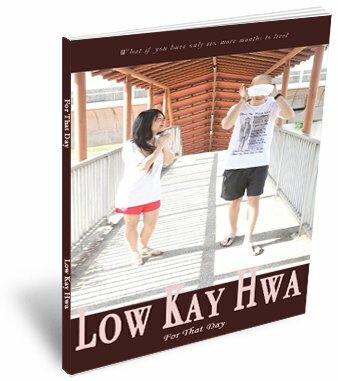 And not to forget, Low Kay Hwa's Fanpage! Expect more of the updates and promotions here: http://www.facebook.com/lowkayhwa. Last but not least, if you are interested in any of his novels, you might want to place your order here: http://www.goodybooks.com. Lastly, enjoy reading and I'm looking forward for his new novel, which is tentatively to be launched on November 2011. Yes! advertorial commercial Break inspirational story life.